Connecticut’s only year-round professional theatre company dedicated to children pre-K though 3rd grade. 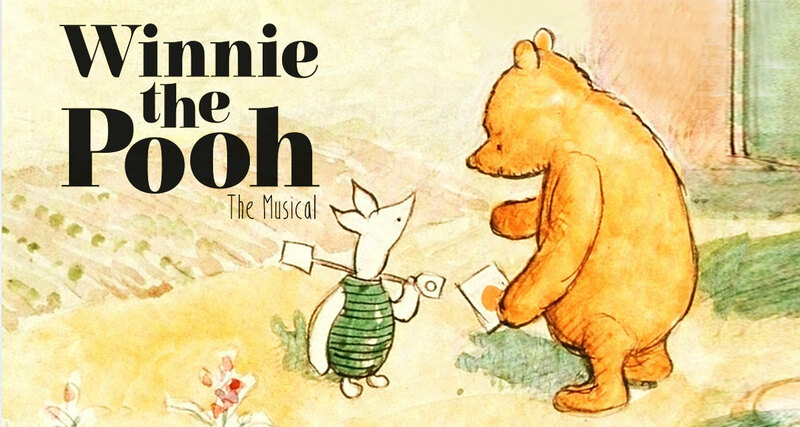 The award-winning, professional national touring company, Connecticut Children’s Theatre proudly works side-by-side with Sacred Heart University students from the Theatre Arts Program. College students train and perform with seasoned professionals throughout the year in multiple theatrical projects. This educational collaboration is the hallmark of the CCT residency at Sacred Heart University. For school groups only. Both shows are one hour. Students and Chaperones $9, Teachers Free. Winnie-the-Pooh is Christopher Robin's fat little "bear of very little brain" who would like to drift peacefully through life, humming tunes and stopping frequently to eat "a little something." However, he finds himself involved in all sorts of frantic adventures, assisted by such friends as the dismal Eeyore, Piglet and Rabbit, with his countless relations. Pooh's intentions are always the best, but his passion for honey and condensed milk keeps getting him into trouble. When friend Piglet gets roped into Kanga's household and Kanga starts bathing him (with soap!) and forcing down spoonfuls of Strengthening Medicine, Pooh wants to fly to the rescue, but he's had so many snacks he gets stuck in the door. A.A. Milne's wit and special understanding of young people make this a very special springtime school field-trip.